Fat and Happy Food Blog Tips and Techniques: To use kohlrabi in fresh salads, peel the outer layer, then slice, grate or chop. Or try steaming the root with the peel on until tender, then remove the peel and serve with a little sauce. 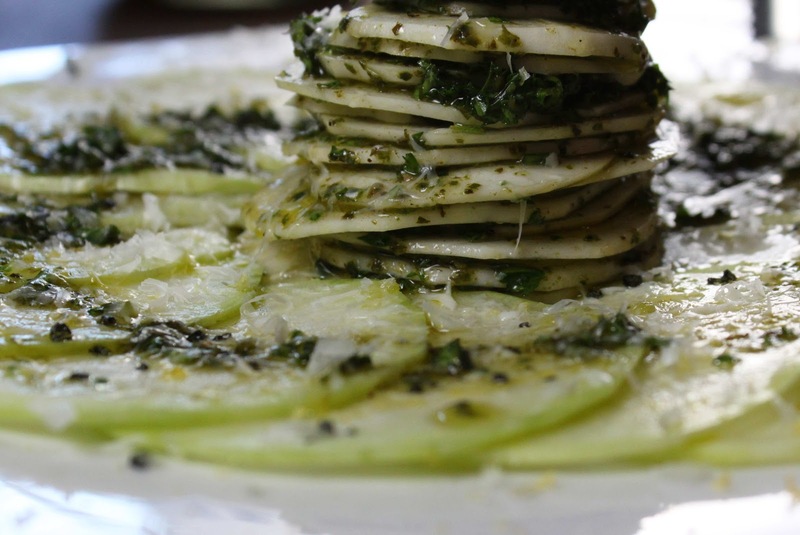 Basil vinaigrette: Mix the basil cubes with the parsley, oil, vinegar and lemon juice. If you are using straight basil leaves, mix everything in a small blender for the best results. You may need just a few drops of olive oil to round this out.